The overall condition is reported to be a solid 8.5+ out of 10. Original owner - Purchased new from dealer in March of 1999. Per all reports - ready to go. Only issues to note - Some of the instruments aren't working. Likely due to lose electrical wiring - RPM / speedometer and depth gauge are not working. Stock #164108 Very good condition, nice deck boat ready to cruise and entertain, well maintained! If you are in the market for a deck boat, look no further than this 1998 Monterey 230 Explorer, just reduced to $17,775 (offers encouraged). 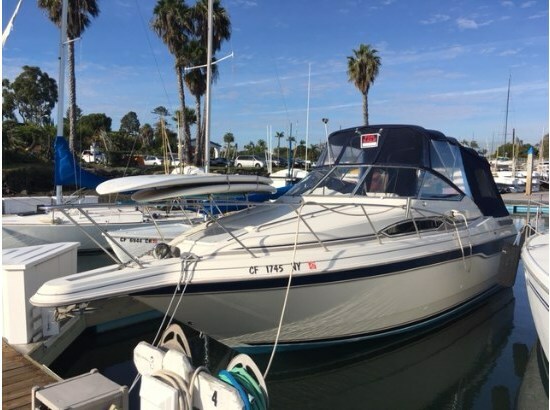 This boat is located in Newport Beach, California and is in good condition. She is also equipped with a Volvo Penta engine that has 2,611 hours. Reason for selling is owner doesn't use much. 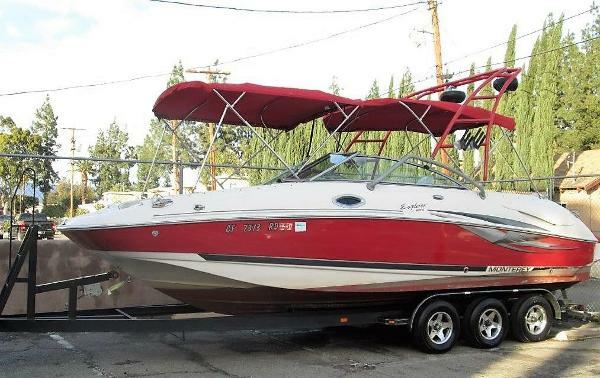 According to the owner, this boat is in excellent condition and will not disappoint! The engine has recently been serviced. Mostly fresh water usage. Please inquire for a free Boat History Report - it's clean! * second owner * Serviced every year which was just done. * No Tears in upholstery * No cracks or gelcoat issues * All Title/Reg is current Stock #172520 Fits 11 people in comfort! Open bow with nice stereo! Fresh water wash down! Front and rear swim ladders! Huge ski locker and MORE! 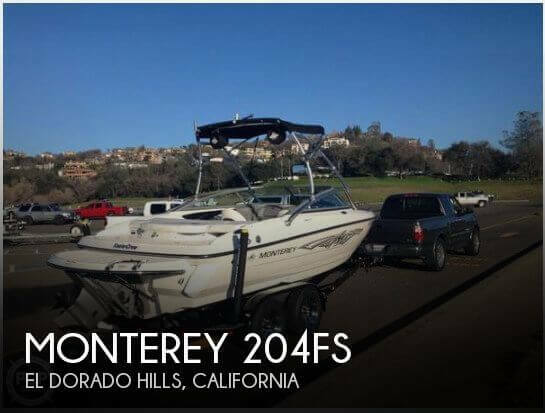 If you are in the market for a bowrider, look no further than this 2004 Monterey 228 SI Montura, priced right at $25,250 (offers encouraged). 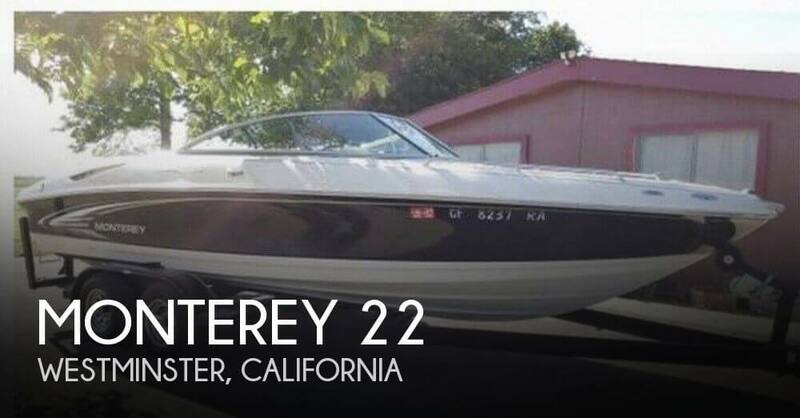 This boat is located in Westminster, California and is in great condition. She is also equipped with a Volvo Penta engine that has 303 hours. Reason for selling is not enough time to use the boat. 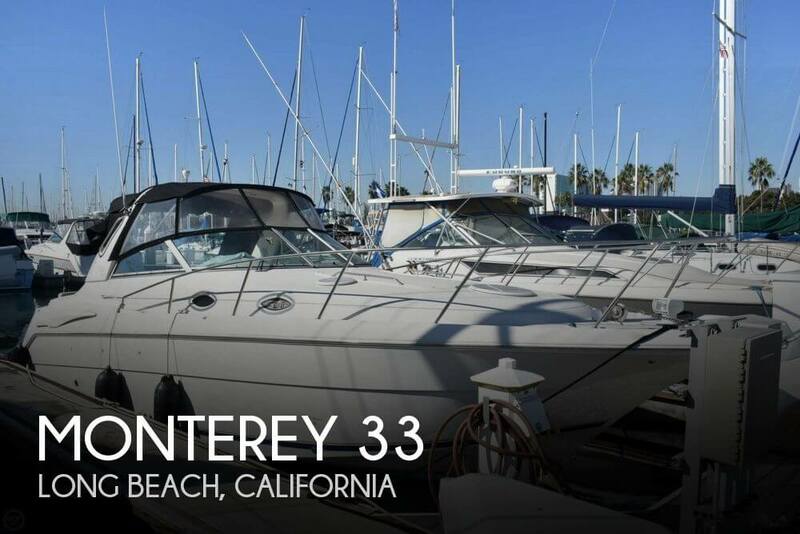 Per the owner, all the features of this boat are in great working condition and they include a new premium Sony in-dash CD player and Lowrance GPS/ Fishfinder. The helm, with a molded footrest and bucket seat, including the Bimini top (a full camper enclosure as well), with waterproof speakers, in-dash depth sounder, docking lights hour-meter to name a few. There are some scratches along the side of the boat through general wear and tear. The interior cushions still have great color with little to no fading. There are a couple of tears under one of the seats where the ice chest slides in and out. Additionally, she is trailerable on the 2001 dual axle Trail-rite, although one brake line is in need of repair. Otherwise, she looks great for her age and has been well-cared for, according to the last two owners. Stock #136751 Excellent condition, Rebuilt engine and comes with all the bells and whistles! 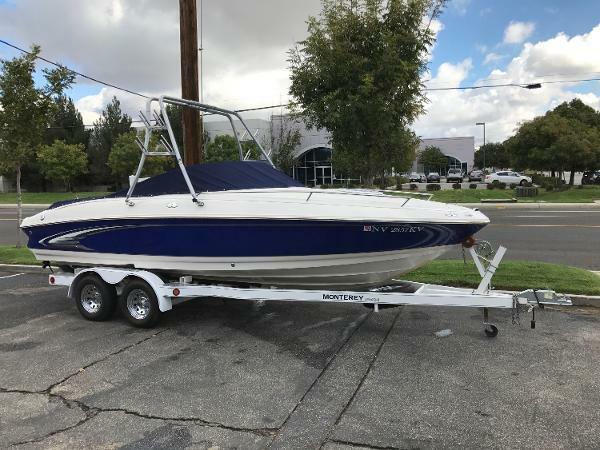 If you are in the market for a bowrider, look no further than this 2001 Monterey Explorer 240 Sport, just reduced to $22,500 (offers encouraged). 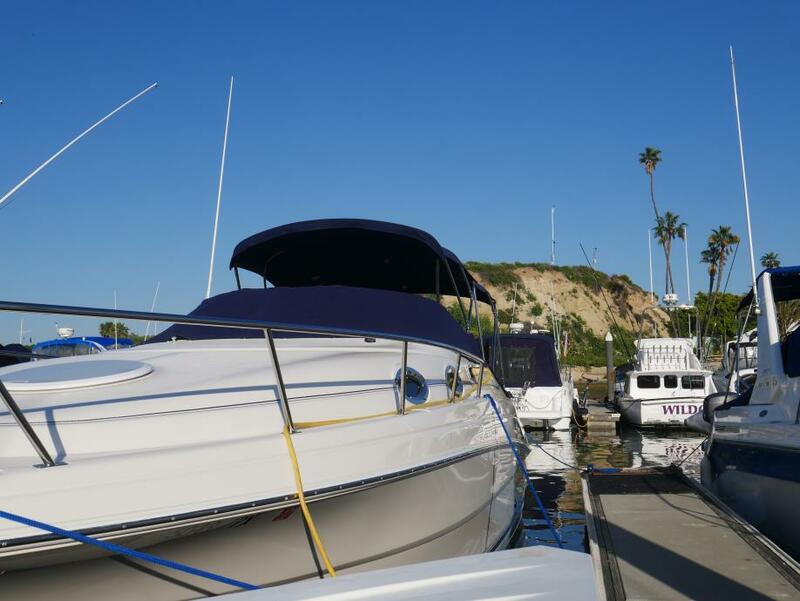 This boat is located in Newport Beach, California and is in good condition. She is also equipped with a Volvo Penta engine that has only 200 hours. Reason for selling is bought a fishing boat.. This 2005 Monterey Explorer 233 is in decent condition for its age. All of the features are in working order according to the owner, The boat received a full-service checkup yearly. Full-Service May 2018 Stock #164101 Never used in ocean/salt water! Ski/Wakeboard tower with wakeboard racks! Sound system (After market needs minor wiring repair) and MORE INCLUDED!!! If you are in the market for a deck boat, look no further than this 2005 Monterey 233 Explorer, priced right at $24,367 (offers encouraged). 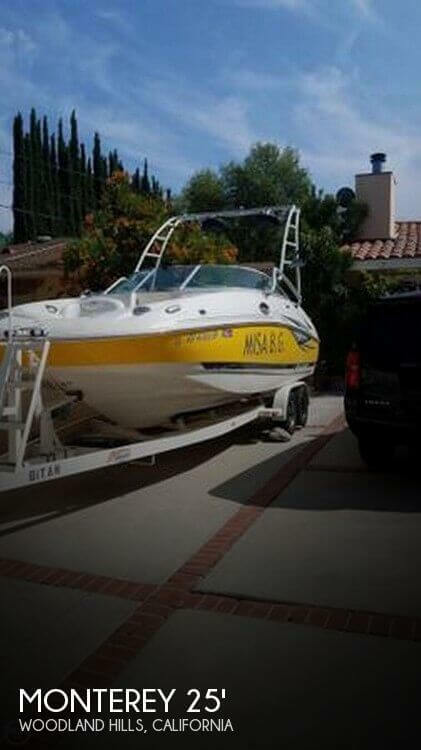 This boat is located in Woodland Hills, California and is in good condition. She is also equipped with a Volvo Penta engine. Reason for selling is not using enough. 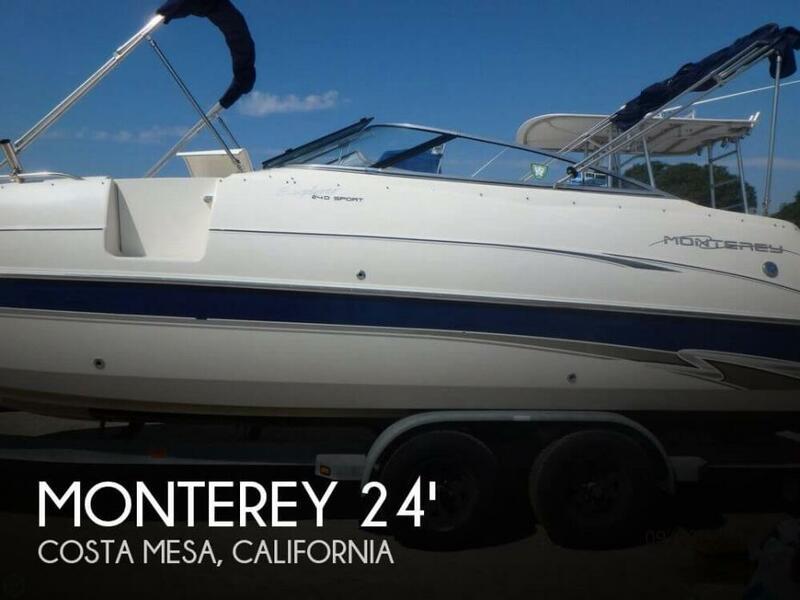 This Monterey 204FS has lower than average hours on the engine and hull, and the interior condition reflects this. The carpet is clean, the upholstery is free of tears and stains and the canvas bimini and snap-on covers are in great shape. The gelcoat shines thanks to inside storage from the moment it drove off the lot and the owners meticulously cleaned the boat after each use. The seller states that all mechanical systems are operable. 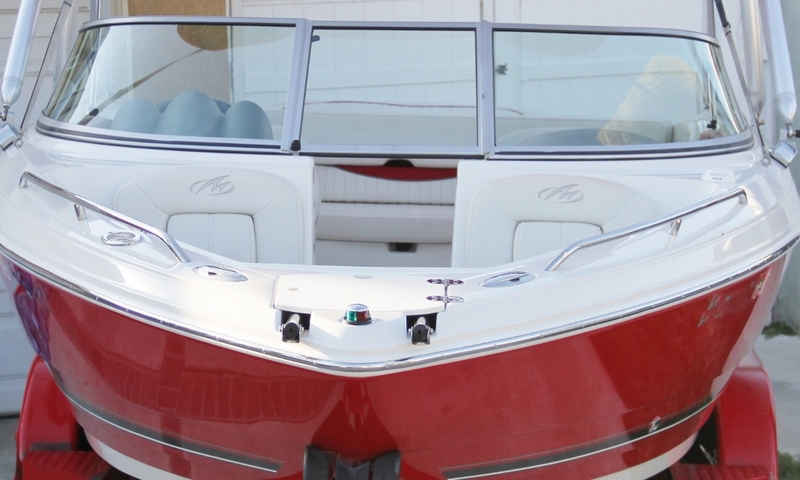 Stock #154679 Great family boat for creating wonderful memories on the water! 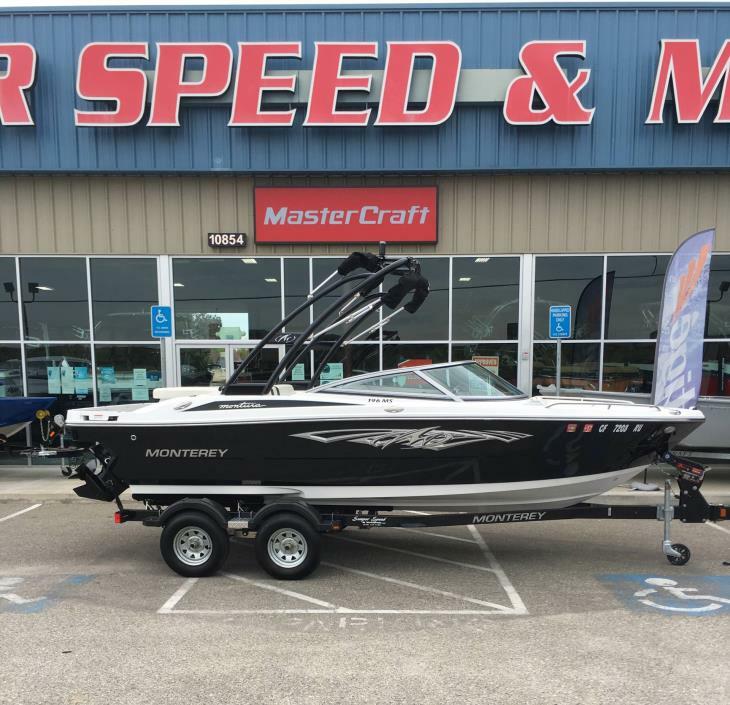 If you are in the market for a bowrider, look no further than this 2011 Monterey 204FS, priced right at $36,700 (offers encouraged). 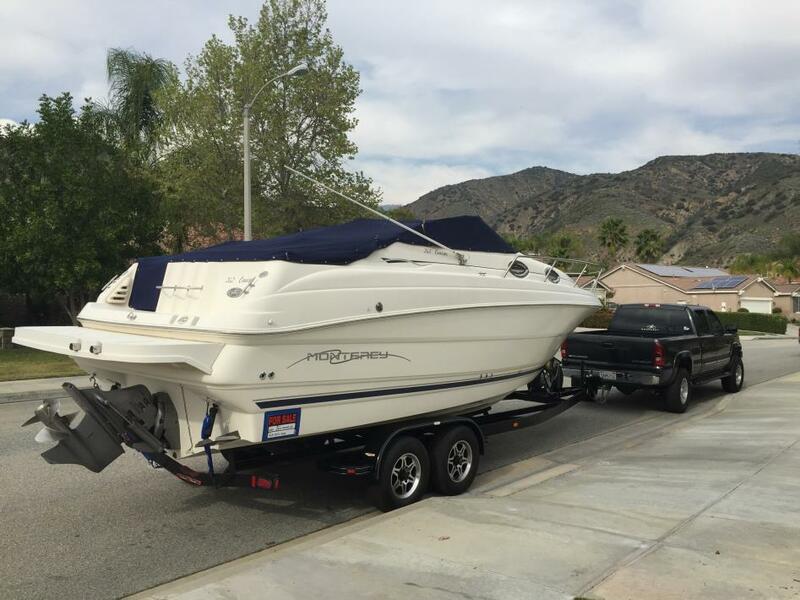 This boat is located in El Dorado Hills, California and is in great condition. She is also equipped with a Volvo Penta engine that has only 181 hours. Reason for selling is kids are grown!. This Monterey 302 is in good condition for its age. Currently, the water heater is not functioning, the analog speedometer and trim gauge don't work Seller reports a small oil leak from one of the engines. The source has yet to be determined. It's unknown when the bottom was last painted; diver reports the bottom to be in good condition. 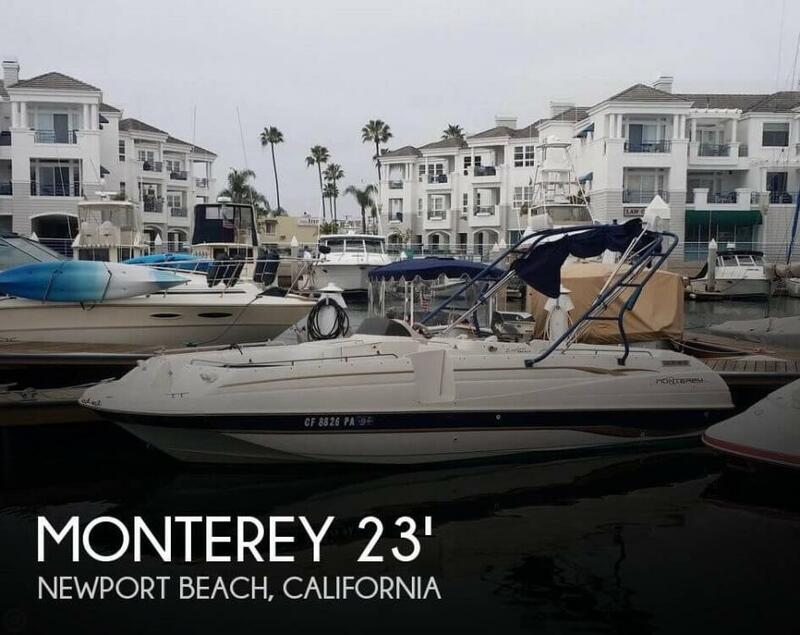 Stock #162416 Weekends on the island, trips to the fishing grounds, entertaining friends, this Monterey will take you there. If you are in the market for an express cruiser, look no further than this 2000 Monterey 302 Cruiser, priced right at $53,300 (offers encouraged). This vessel is located in Long Beach, California and is in good condition. She is also equipped with twin Volvo Penta engines that have 400 hours. 2005 Monterey 263 EXPLORER DECK BOAT The 263 EXP has something for the whole family. Room. Plenty of room. Room for storage and relaxation. Its 26-foot length delivers a confident ride in big water. Your crew will appreciate the protection of a full width curved glass windshield and enjoy the convenient molded-in sink with wet bar. Wrap around seating fore and aft has built-in lounges in the bow. Portside privacy compartment doubles as added storage room. - LOOOOOADED PARTY DECK !!! 2015 Monterey 196 MS 2015 MONTEREY 196MS with MERCRUISER 4.3L 220 hp ENGINE ONE OWNER BOAT - ONLY 30.2 HOURS! Seadek Swim Platform ~ Mooring Cover ~ Stereo Remote Helm & Stern ~ Wake Board Tower ~ Snap-In Woven Flooring ~ Depth Sounder ~ Compass ~ Transom Tilt Switch ~ Removeable Aft Seat Cushion ~ Bimini Top SEMPER SPEED AND MARINE 559-436-1888 or toll free 1-866-865-7619 Show off the uncompromising and elegent style of your 196MS Sport Boat. Standard features include multiple cup holders, a swim ladder for easy boarding access, plenty of bow area seating and storage throughout. The 196MS is a powerful and chic performance machine, sure to make those around you envious! 2005 Monterey 263 EX Explorer The 263 EX has something for the whole family. Room. Plenty of room. Room for storage and relaxation. It's 26-foot length delivers a confident ride in big water. Your crew will appreciate the protection of a full width curved glass windshield and enjoy the convenient molded-in sink with wetbar. Wrap around seating fore and aft has built-in lounges in the bow. Portside privacy compartment doubles as added storage room. 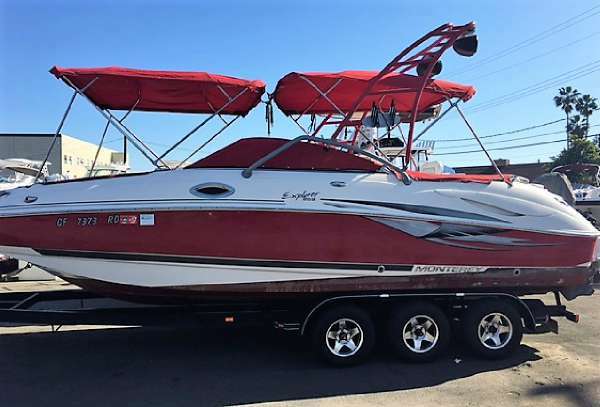 Powerful 375HP , 8.1L Volvo duo prop outdrive This rig has wakeboarding tower,double bimini tops, Amazing sound system, dual subs, dual amps, six speakers, tri axle trailer and more, This boat was used in Big Bear Lake California during the summer months then stored in the off season. 1996 Monterey 276 Cruiser 1996 Monterey 276 Cruiser, 1996 Monterey 2767.4L engine with Volvo DPS drive, Stainless counter rotating props. Low engine hours.Custom camper canvass with strata glass. Custom removable SUP/surf rack. AC/DC TV DVD player. Stereo with at helm control. Hot water shower inside and at swim step. Microwave. Single burner stove. AC/DC refrigerator. AC/engine heat-hot water heater. Barbecue. Sleeps 4 comfortably. Stainless anchor/chain. Anchor windlass with helm control. Automatic fire suppression system. Bait bag/pump. Pole holders through out. Immaculate in and out. Does not include trailer or SUP's. Priced to sell. $15,000.